It's been five plus years since Judy Dempsey closed her popular Perth eatery that served friends and fans alike for 12 years. For this, she is still continually tag-lined as the acclaimed chef of The Hungry Planet. 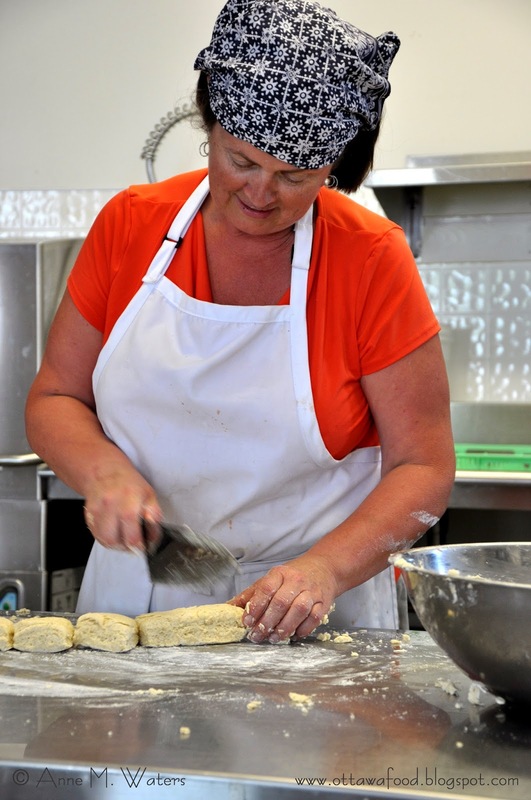 Chef Judy Dempsey has been working at The Table, a community food centre in Perth, for a good two years now, and her reputation for cooking soul-filling, nutritious food has followed her. The Table offers dinner service Monday, Wednesday and Friday under the care of Dempsey and her hard working team of volunteers. These community meals are one way for The Table to "focus on meeting the needs of low-income community members in a welcoming and respectful environment", as stated in The Table's mission. Often when I am at The Table volunteering for The Test Kitchen program on Wednesday morning's Judy has already begun prep for the evening service. I steal a moment to peek into pots and sniff out the ovens to see what creations she is in the midst of whipping up. If I can, I stay to help too. Selfishly, I relish this time with her to talk food, recipes and kitchen challenges. For me, I come home inspired. Feeling I got, more than I gave. Today Judy was making her famous focaccia buns to go along with a beef short rib and pasta casserole. 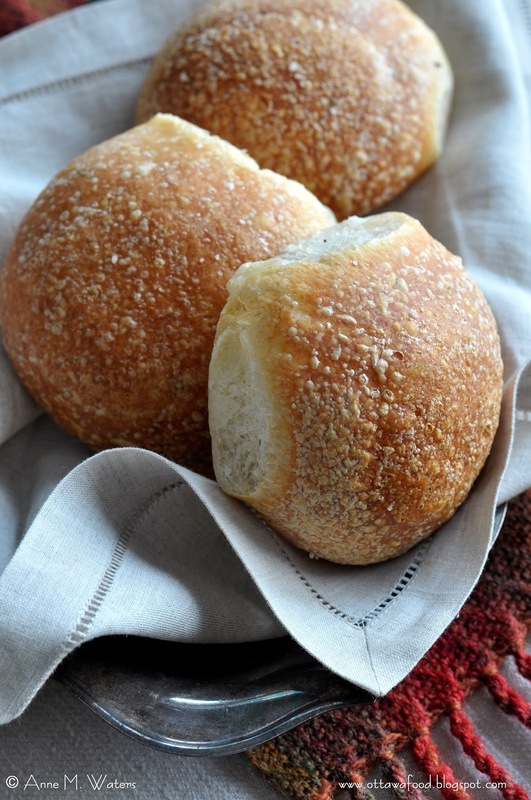 Rosemary focaccia buns, in fact. She said she used to make them every.single.day at The Hungry Planet. Over the 12 years that adds up to a lot of dough. Is this a welcoming and respectful environment? With buns like that, you betcha.